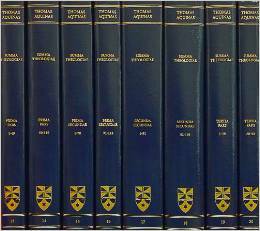 While we often read his Summa, many do not utilize the wealth of knowledge and insight from Thomas Aquinas’s commentaries, now available for Matthew and John and Paul’s letters, both Latin-English editions. As I have begun to read through them, I am struck by his careful exegesis and profound scriptural judgment. I cannot wait to use these in my work. I recently came across a philosopher – or rather, an historian of philosophy – named Robert Pasnau. He is Professor of Philosophy at CU-Boulder, and he edited the two-volume Cambridge History of Medieval Philosophy (2010) and the annual Oxford Studies in Medieval Philosophy. For all you Thomas Aquinas lovers, his 2002 monograph, Thomas Aquinas on Human Nature (Cambridge UP), won the American Philosophical Association Book Prize. [M]any philosophers today are presentists – they think that the only philosophy worth reading has been written in the last 100 years, if not the last 30 years. This attitude is hard to justify. The historical record shows that philosophy – unlike science and math – does not develop in steady, linear fashion. Perhaps the very best historical era ever came at the very start, in Socrates, Plato, and Aristotle. If that was not it, then one has to wait some 1600 years, for the century from Aquinas to Oresme, (Who’s Oresme?, you may ask. Exactly.) or wait 2000 years, for Descartes through Kant. I’m leaving out important figures, of course, but also many quite fallow periods, even in modern times. Maybe subsequent generations will judge 2011 and environs as the highpoint up until now of the whole history of philosophy, but I wouldn’t bet on it. Every generation of philosophers has been equally prepossessed by its own ideas. There you have it: read the old stuff. The new stuff ain’t new.